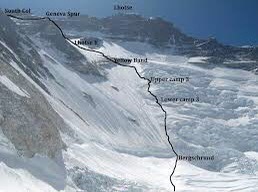 Was it really only Monday of this same week that we headed up the icefall once more to C1?? It seems like an absolute lifetime ago. I guess mountain years are akin to dog years in that regard. So we left 2:30am Monday and I had two possible options available to me that day – either move to C1 alone (approx. 5hr task at reasonable pace) or if feeling really good, to pick up few bits of gear there and move up the Western Cwm to C2 – about another 2-3 hours, but here you run the risk of being caught in a huge solar reflector (read: oven) as you ship out of C1 when the sun is truly up – risking fatigue from heat and dehydration. That said, there is some reward – in that the second day could be spent entirely at rest at C2. Every decision up here – no matter how small – has consequences. Given that I was marginally “recovering” from my now definitively cracked rib, I figured discretion was the better part of valor and decided on minimal increments with minimal risk, still ready to leave for C3 as expected. In other words, day 1 to C1; day to to C2 (joining any that made the full push the day before); day 3 to C3. I made C1 in approx 5hrs+ but given that I was consciously taking my time, I could live with the fact that I was not the fastest of my team this time round. Pulling into C1 I was pleased with my decision and while falling into a tent at 9am with nothing to do but wait for the next day – while avoiding baking – is not exactly the most luxurious thing to do – it was the right choice. 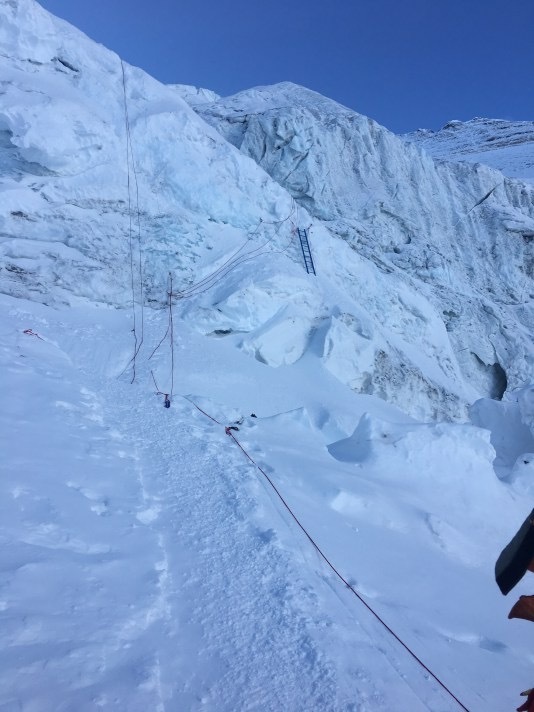 Turns out that by the next AM, a fellow climber that appeared to feel strong the previous day and had pushed hard – even to C1 – was turned around and headed home – a stark reminder (like I needed another one) of how quickly things can change. The following morning, light one climber – we headed out to C2. This was the first time I had the luxury of knowing this part of the route in advance – and as with everything the second time around, it did seem that bit easier and shorter… except for the damn stretch from “crampon point” at the start of C2 proper to where ultimately the IMG part of the camp is… I swear to god, they moved it another few hundred feet further back! Felt like it anyway. Still – push came to shove, and I was there. Yet again, not the quickest, but perfectly good time – and mostly, the rib was not screaming too loudly. I did speak with two chaps who had made the push to C2 the previous day – and they had paid a price. They got caught out in the heat and had barely scraped by eating snow after having run out of water and stuffing more snow in their shirts, helmets etc. in a frantic attempt to cool down – that left them badly dehydrated and trying to recover. My decision to stop at C1 seems like the right one. 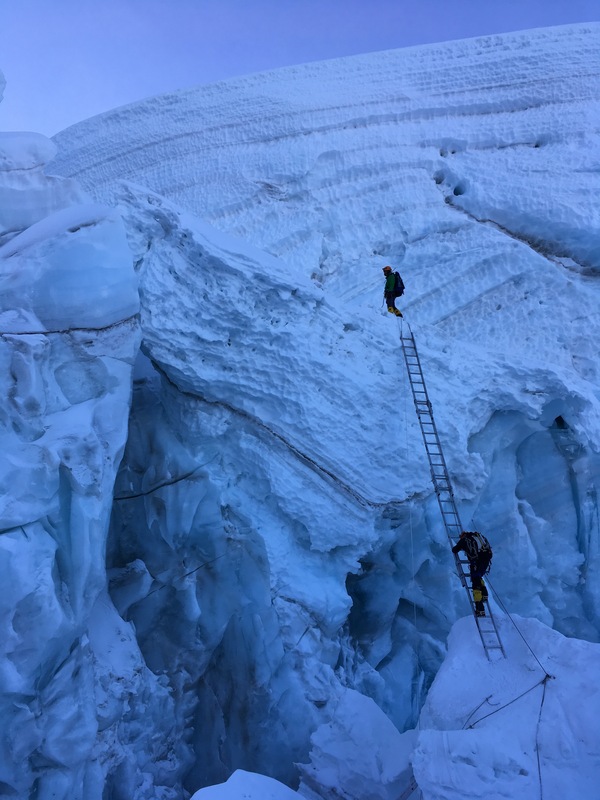 Once you have made the initial 500 feet or so and crossed over the bergschrund, the face itself is an intimidating fixed roped climb for ~1800 feet of very steep ice where the slightest slip can result in death. 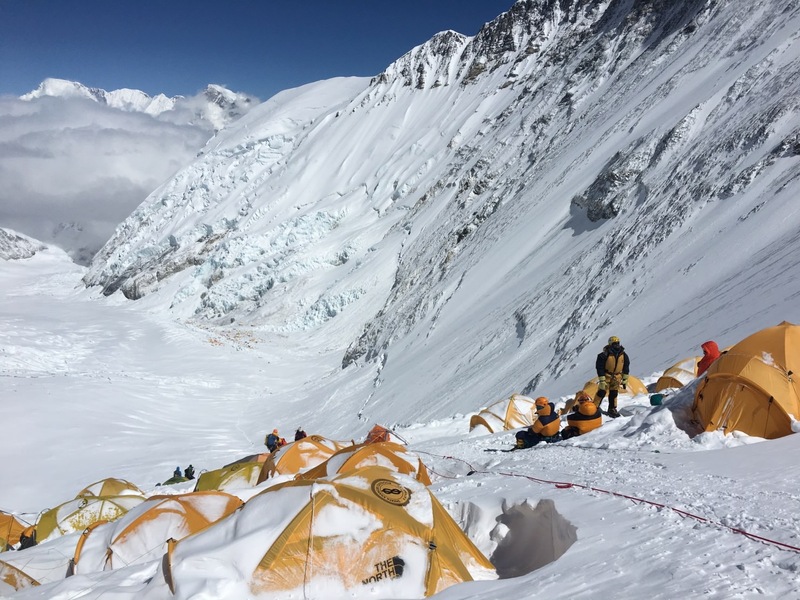 One of the other IMG teams were on the face when a Sherpa almost did just that – sliding (sounds too gentle – let’s go with “plummeting”) almost two thousand feet, somehow miraculously living to tell the tale. Simple rule of thumb – at NO point on this stretch are you ever not clipped into the fixed ropes (either primary or secondary safety line). The other risk on this stretch is other climbers. There is a lot of traffic moving up and down the same ropes, with people clipping in and out around each other. 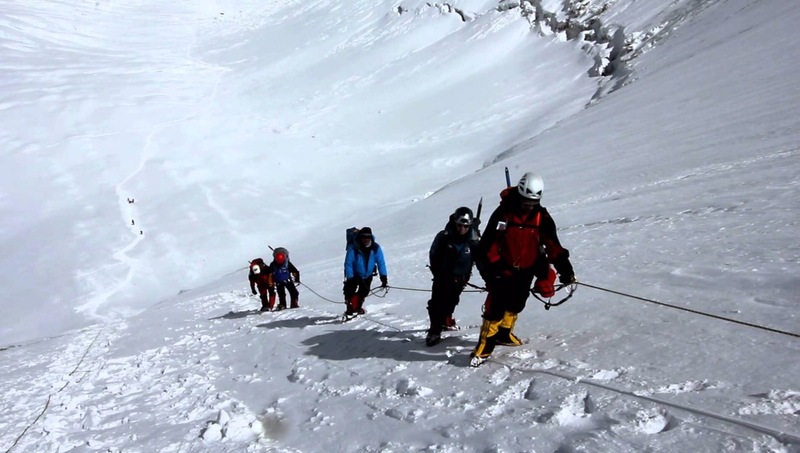 That Sherpa mentioned above who fell, almost knocked another climber off the rope – only narrowly avoided by a quick-thinking guide and a good shove out of the way. Another example is of a climber losing a rappel device (made of metal) that hurtling from tens or hundreds of feet quickly becomes a deadly projectile to anyone below. Even when you do get to C3, it is literally an ice ledge carved into the side of the mountain with little air (approx 40% of available O2 at sea level) or general comfort to have any appetite or get any rest once there. There is a true story of a half delirious climber making it to C3, only to get out of his tent to go to the bathroom in his down camp booties – slipping and falling, literally 2,300 feet to his death. NOTHING can be taken for granted. So, with all of the above in mind – after staring futilely at a breakfast none of us could stomach, we headed out around 5AM and started the slow, steady plod to the bergschrund. My cough – and rib – made themselves acutely known once again the previous night – so to say I was enjoying any of this would be a complete lie. It’s days and nights like that, that the whole thing is just one god-awful sufferfest and I try to cling to whatever reasons I have for being there… personal, for sure; to make dad proud and stick with it – absolutely; to see this through for the American Kidney Fund and everyone who has donated either their money or kind words in support – most definitely. Even with all of that, there was just no smelling of the proverbial roses – it’s just too barren up there for that – both physically and metaphorically – and I spend my days half doubting, half terrified. I manage to keep a lid on it. I know people who have done this, who know my measure, and if they say I can do it, then I believe I can. I take strength in their belief even if mine wavers. As we approach the bergschrund I see that the tiny dots moving like ants are in fact climbers making their way up the face. Christ, its steep – all that optimistic talk of “it’s not so bad from another angle” goes out the window – either that or I’m not looking at this right. And sweet Jesus, does it go on – and on! There are actually two “camp 3s” – the lower one where most non-IMG teams camp and then the upper IMG camp a further 1000 feet or so above. This days battle will be hard fought. As you can guess, the logic here is to achieve extra acclimatization, where the general philosophy is to put the body in an oxygen deprived state thus forcing the creation of oxygen carrying red blood cells. 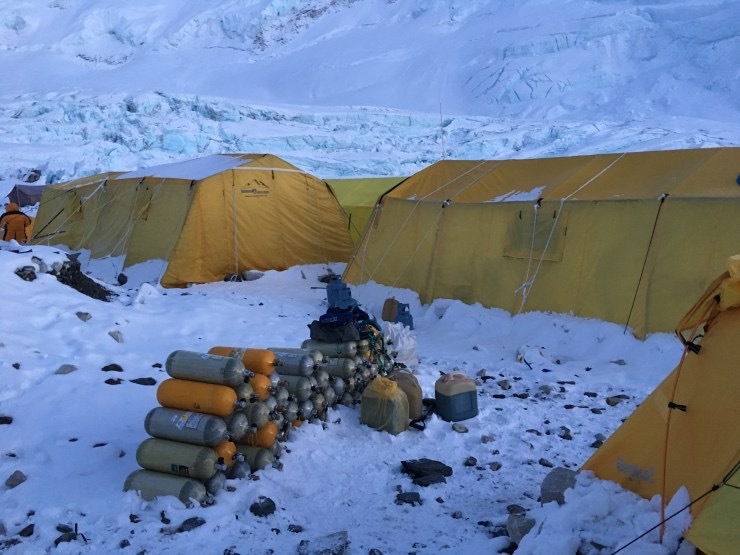 Sleeping at camp 3, 23,600 feet, should do the trick. Needless to say, there will be no sweet dreams at this altitude – sore rib or not! Yet again this day I am the slowest. Based on individual times up to C3 so far it seems like a 7-8hr average would work. On this day, it took me 10hrs to finally make C3. My known rib was already aching and now joined by a second pal about halfway up the face. With every move, I feel the rib pop out and fall back into place where it is broken – quickly becoming the new norm. In ascending the fixed ropes, you use a jumar (ascending device) with one hand always in the device itself and oftentimes the other hand on the rope itself, using both as necessary to leverage up the rope. In short – any time I had to physically use my left side – either on the jumar or the rope, I was in increasingly severe pain. Not ito stop this stubborn Irish mule – I kept at it – my sole rationale being to somehow get to C3, do what I needed to do for today – if even with a crappy time – and figure out what to do tomorrow, tomorrow. This was to date, the hardest thing I have ever done. I panted and gasped the whole way up that face like a fish out of water. 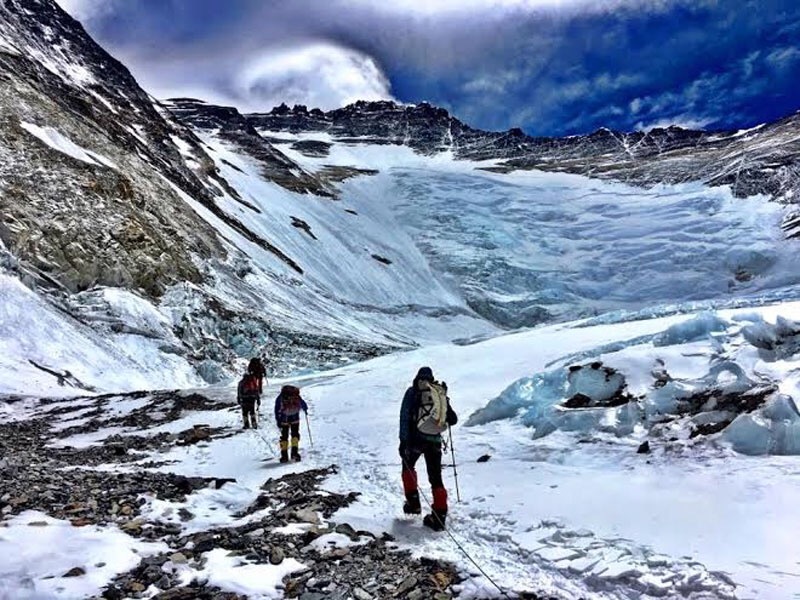 I have had previous climbs – all tough – Denali, Aconcagua – all hard, but where I got in a rhythm, my breathing and recital of “Invictus” in unison – over and over and over again. And it has worked. Not this time. I’d try to slow my breath but could never catch up – it seemed my broken rib was preventing me from a full, deep breath. I’d try to recite “Invictus” but I don’t think I completed one full recital of the poem – every time I’d get halfway through my rib would scream at me, throwing me off. At one point I am pretty sure I felt something new (another rib?) give out. Sadly, I was starting to grow used to the experience. I sound like I’m making excuses now, but I appreciate how hard things are at that altitude and I don’t know if a fully fit me would have done any better. It must have taken me a half hour just to make it the final 30 yards into C3. 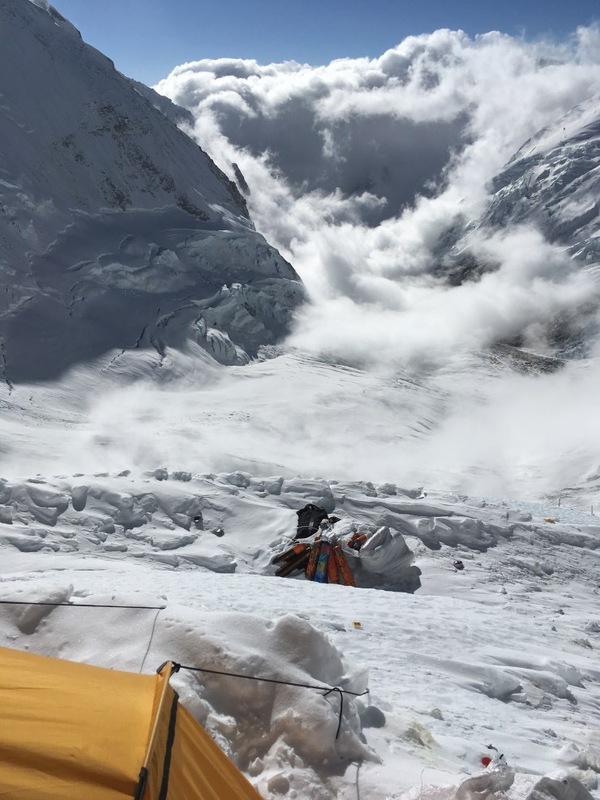 For you non-mountaineers, you have no idea what a bizarre feeling it is to see camp right there – you can almost touch it – and absolutely nothing you can do to get there any quicker than a crawl. Like living your life in slow motion, with no air, if you can imagine. Halfway through the day the weather went from freezing morning air to roasting afternoon sunshine – at which point I stripped down the top half of my down-suit – a lifesaver in frigid times but an absolute curse in the heat. Of course, I was definitely dehydrating and not getting enough calories – and I didn’t stop to lather up with the necessary sun protection which ultimately meant that my face and lips would later look like they had been exposed to a hot plate. At this altitude, the effects of the suns UV rays are infinitely worst than sea level. All of that aside, make it there I did. In 10 hours. 2 hours over where I needed to be. 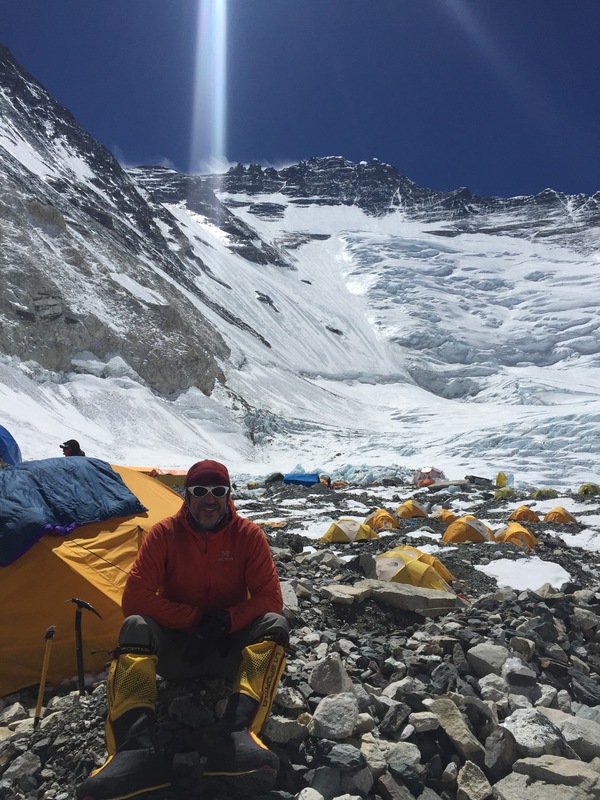 I still figured I’d speak with the IMG folks once down to EBC – I truly believed I could chalk this up to my physical situation and maybe I could pull another “Lukla miracle” between now and my final summit push. My plans aside, I can’t imagine my Sherpa was too impressed – and I can’t blame him. These incredible, strong, gentlemen of the mountain guiding clowns like me. Unlike me, a useless sack upon arrival, my Sherpa had prepared me a pot of Sherpa tea (I devoured) and a bowl of ramen noodles (which I could barely touch). That night was spent in misery – trying not to throw up at the smell of my MRE dinner, and more importantly, clinging to my ribs with each dry, hacking cough – that seemed to come from the bottom of my lungs yet yielded no phlegm (which would have at least been some relief). The most notable point of the night was one particularly violent cough where I felt something pop following by a searing pain – again in my rib area, this time just below my sternum. As used as I was getting to pops, twangs and twinges – I was neither comfortable nor pleased. The only thought in my head (other than “you PAID to do this, you complete idiot”!!!) was – you did what you had to do; let today go, get down Thurs/ Fri and regroup. All is not lost, thia can still happen. Thursday I made it back down to C2 in three hours or so and we descended pretty well, confident enough to use arm-rappels to descend most of the 2,300 feet, and only using our more safe rappel devices on two parcticularly steep and icy stretches. This was all downhill (if even quite steep and exposed), but maybe there still was a shot. By now, cough and ribs were an all-day affair. I returned to my tent and threw on my earphones to distract me from where I was, the hell I had been through. I listened to my meditation app (corny? Yes. Effective? Also yes – at least for the time I use it). I put on some favorite tunes – reminding me of family, wife, dad – why I am here. I cry. Christ, it’s as much of an emotional battle as a physical one. I quickly wipe the tears away before my tent-mate notices. Men, eh?!? Not that he’d ever criticize or be anything but supportive. We are all brothers in arms in this struggle. As in war, I imagine – you cannot but build a bond with people you go through hell with. Each for your own reasons – all equally important. For me, it’s legacy – it’s being the son dad would have been proud of; it’s making sense of his senseless and untimely death; to see something through so that others mightn’t suffer his fate. I’m no martyr – but this has HUGE personal meaning to me. Still. That’s a good sign. Night falls and I am tucked into my sleeping bag – as tucked as one gets when it is so cold outside that by the morning the condensation from your breath all night has frozen to the roof of the tent. With each brush of the roof resulting in a minor snow flurry – making it all that much harder to lie in!! My cough is now so hacking and dry that I literally do not sleep one minute that night, and my pee bottle now doubles as a spitoon for whatever I can wrench from my lungs. This is the long, cold winter of my trip so far – and small reward for making it up to C3 and back. There are a lot of minutes from 730PM to 5AM when you don’t spend a single one of them sleeping – and you aren’t at a party 🙂 A lot of minutes. 5AM finally did roll around and my only thought (other than “somebody kill me”) were thank god – it’s Friday – it’s time to go back to EBC. You’ve heard it before, know my mantra – just do what you have to do today, just get back to EBC in decent shape and you are done with this godforsaken rotation – and you can worry about summit rotation another day. You did this in pretty good time last time – it’s all downhill, how hard could it be? How hard indeed. From the outset I was dragging – even the simple task of rolling back down the Western Cwm to C1. Even the last few rolling hills into C1 are absolutely killing me – I seem to have nothing in the tank. Speaking of tanks, it is decided by smarter men than me back down at EBC to put me on oxygen from C1 back down to EBC. I don’t argue with that call and it seems to give me new legs – I at least have EBC in my universe of possibilities – a rapidly diminishing thought only an hour before. Where did this all go so wrong? I had gone from “if only I can make it to EBC, I can think about the summit another day” to “if I can only make it to EBC”, period. I was once again crawling. Yet another ladder, yet another crevasse, demanding my ever-waning attention. The sun is too damn hot, I’m sweating my arse off. Is this f**king oxygen mask really on? Why am I still gasping. This god-awful mask is chafing against my scalded skin. I have to pull it back to spit out what I can manage to hack up. I couldn’t be more miserable. It seems like we are making this descent foot by foot – and for many hours we are. 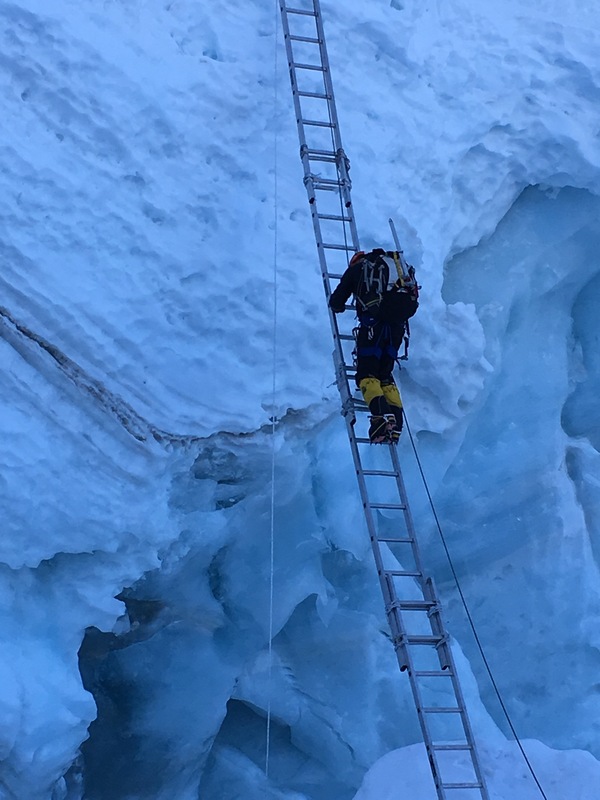 We finally get back down to crampon point at the foot of the icefall – many hours – after when we’d typically expect to be there. 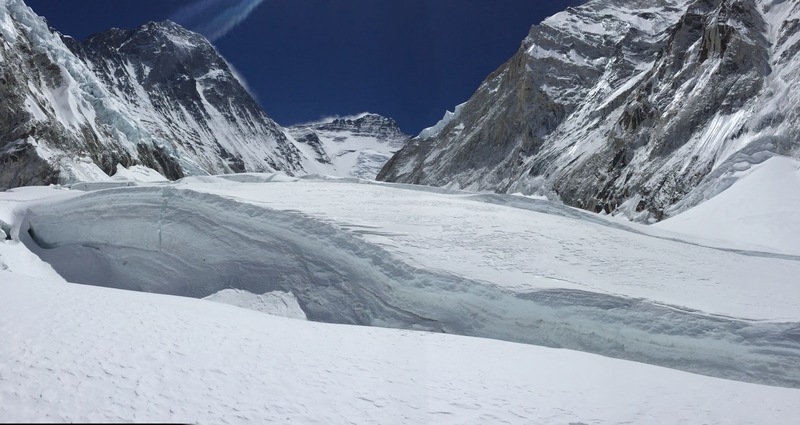 We (I) rest, take off our crampons and begin the final plod back to camp via my second stop at Everest ER in as many weeks, where Greg, base camp manager, class act that he is – has walked up to meet me. I’ve been thinking about this all the way back down – what I should do and how – if at all – I could possibly proceed. Did I trust myself to sufficiently recover back down in Lukla, and even if so – would any Sherpa in his right mind want to go back up even higher with me on the mountain given my physical ailments and ensuing issues? I was back down to EBC, I did what I had to do today. But I think for the first time I realized – I hadn’t done what I had to do for tomorrow. Despite my very best of intentions – sheer will power alone was not going to get me where my body simply couldn’t follow. You definitely did the right thing by not continuing… not that your body gave you any choice… just reading this vivid, harrowing entry makes me feel completely in awe that you got as far as you did, and lived to tell the tale. In the end, you saved your own life. We are all so glad you are safe now, and we couldn’t be more proud of you. Wishing you a speedy full recovery and a wonderful homecoming to your wife, mom and everyone else! You trained for this. You got ready for every possible variable and now you’re there. Keep up the great work and know that we are all here cheering for you. Unlike a marathon or a triathlon we aren’t going to be there physically clapping watching you compete this trek. You just have to know that we are with you in spirit. Pushing you along with our hearts and our minds. You can do this. You can make this happen for yourself and your father. You’re ready for everything the mountain throws at you. You’ve trained for it. Good luck. We all know you can make it. Cheers Spencer. I wish it were so but not this time it seems. Actually looking forward to getting back to work – can you believe that? Whatever happens there – it won’t be this hard 🙂 See you soon enough buddy. Just glad that you are safe and that you made the right decision. Even in starting up the mountain, you have done so much to call attention to the fight of people living with kidney disease – sometimes every day is a struggle. Like you, those who deal so heroically with the disease are real winners. Thank you for honoring your father in this way and for your support of our cause. Thank you for all that you have done to raise awareness for those affected by kidney disease and for AKF. You honored your father in an amazing way and have inspired all of us here to work even harder to make a difference in the lives of those we serve.